Postcards are the easy, affordable, and super versatile way to print, well, almost anything and everything! From slick marketing tools to functional product signage, they’re ideal for capturing an important message or making a statement. And now you can even add Foiling – in seven shiny colours! 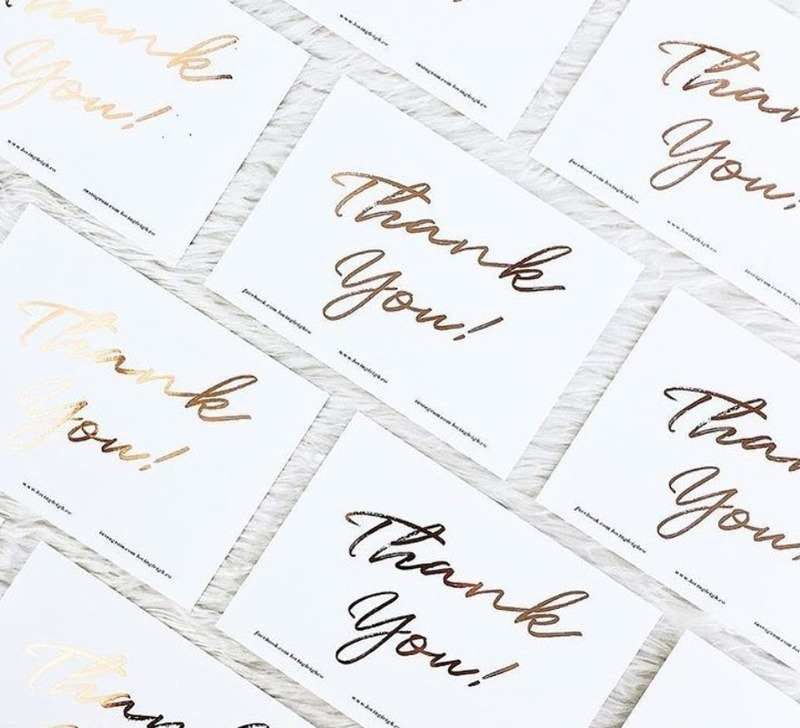 Whatever your project, we’ve got foiled postcards to suit so get inspired with five unique ways to use yours, right here. 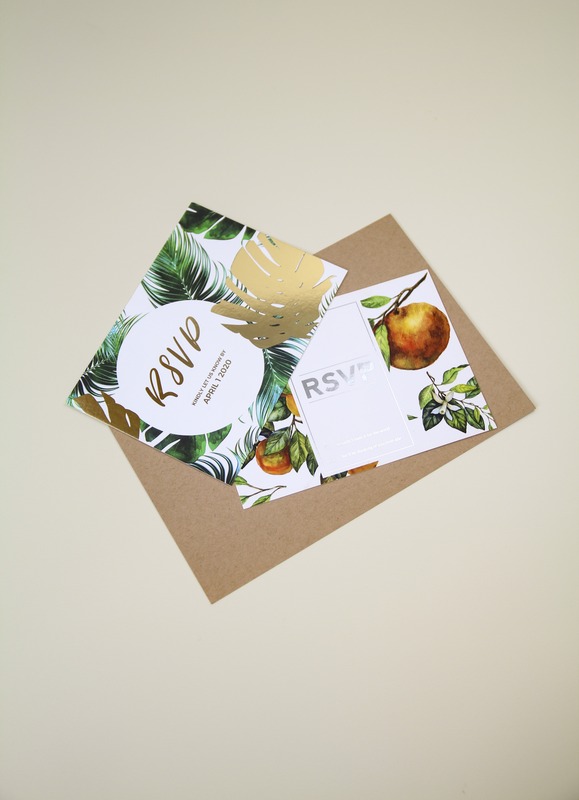 Yes, we know, we already have a whole range of Invitations ready and waiting – but transforming a Postcard into an invite really can be ingenious. Plus, with new Foiling, White Ink and Laser Cutting available for postcards too, creating a unique, compact Postcard Invite that gets everyone excited is easy as pie. With 15 paper stocks to choose from including textured, shimmer and rustic Kraft, you won’t be stuck for choice either. Or why not check out Trucard? Glossy on one side, matte on the other (ideal for writing on), you can add a photo to one side and pen a personal message on the other. Running a promo or event? Or want to stand out at your next expo or exhibition? Instead of opting for standard Leaflets and Flyers, give your handouts the extra edge by creating them in handy Postcard size (ideal for pocketing) and choose one of our luxuriously thick, textured stocks. They’ll be picked up faster than you can say ‘promo’! Ok, so you could just send a card. But why not create your own unique designs that are ideal for pinning on a noticeboard. The unique size of Postcards makes them ideal for whizzing through the mail too. Pop a postcard in with your packages as a thank you note, brand showcase or even as an oversized Business Card with all your details. The larger size of a postcard means they’ll stick around longer, and grab attention as soon as a customer opens their parcel. 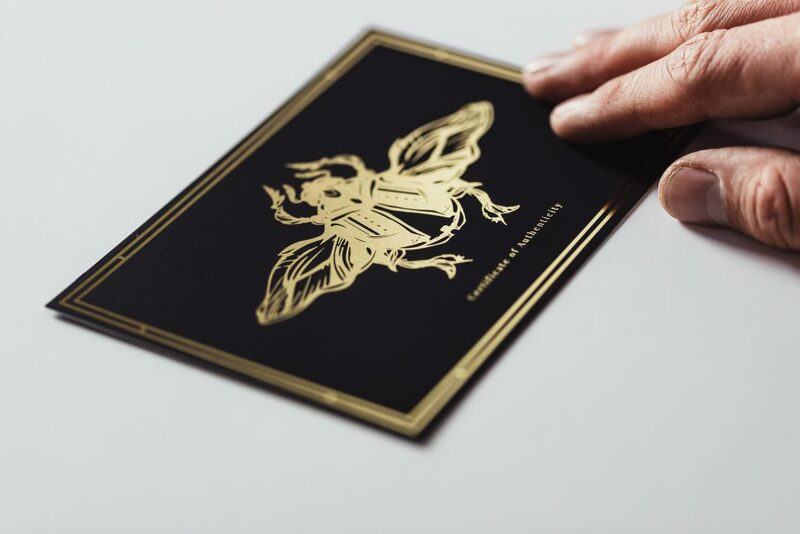 We love how The Curious Department use their postcards to create certificates of authenticity – it’s a fab idea that adds an extra layer of luxury to their products! If you have your own store, shop, café or space, using Postcards to highlight products or promotions can be a great way to draw those wandering eyes in. Use label holders and stick them on your counter top or checkout, leave them in stacks on tables to highlight your special offers or even use their smaller size to slip into folded menus or menu holders. Shop our range of Postcards now! While you’re here, why not check out our #ProudlyPrinted Postcard Edition for even more inspo?